This is the first plane I've ever built from a kit. Have built a P 51D "Red Tail" since. Both were a lot of fun to build....just waiting for the nice weather and the maiden flights. I have one of these and want to convert to electric in it. What electric engine did you use? And what ESC controller to give me a idea. Hi, your plane looks very good, I'm building the same. I'm thinking about making ailerions. Could you please share detailed photo how did you do in your model and how sensitive the model is with those ailerions? 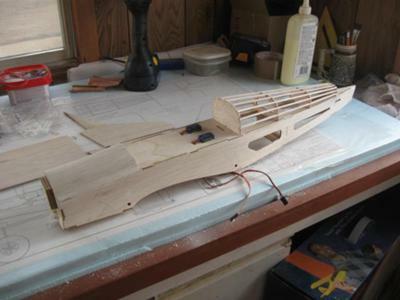 hello, I'm building the same plane right now. I'm putting an asp 061 in it.Did you put aileron's on your's.I'm thinking about aileron's and flaps. 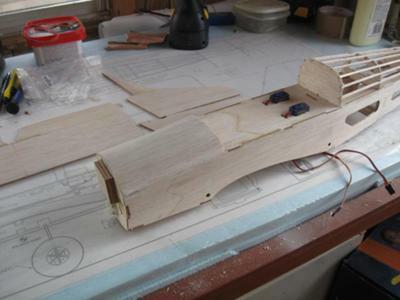 Thanks Matt....yes, those are the rudder and elevator servos. That's what the plan said to do, so I did it. Great idea, actually. Not a lot of room in the fuse.....it was designed for a nitro motor, not electric so I had to do some major cramming to get everything in. Very nice Pete. Beautiful bird, thanks for sharing! 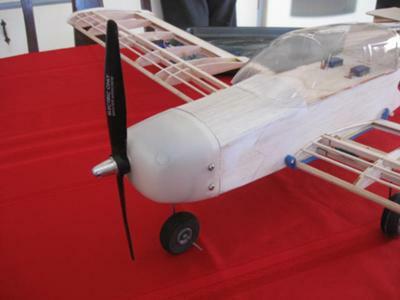 Are those the rudder and elevator servos sticking up through the top? I've never seen servos mounted like that before. Join in and write your own page! It's easy to do. How? 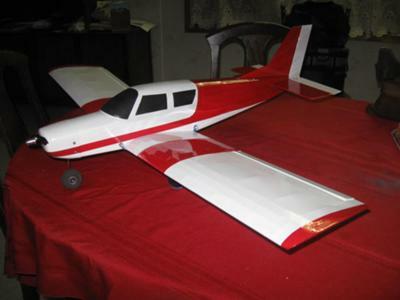 Simply click here to return to Building RC Aplanes.